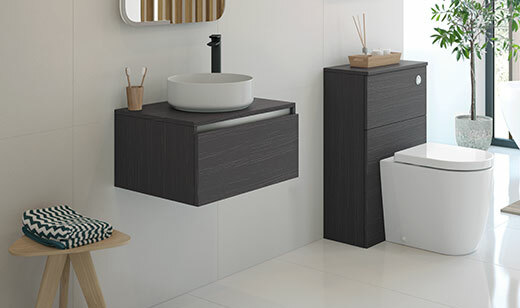 Senzo 1 drawer vanity unit 900mm with basin, Tall unit, 900mm mirror, Finissimo basin mixer and Belmont bath. 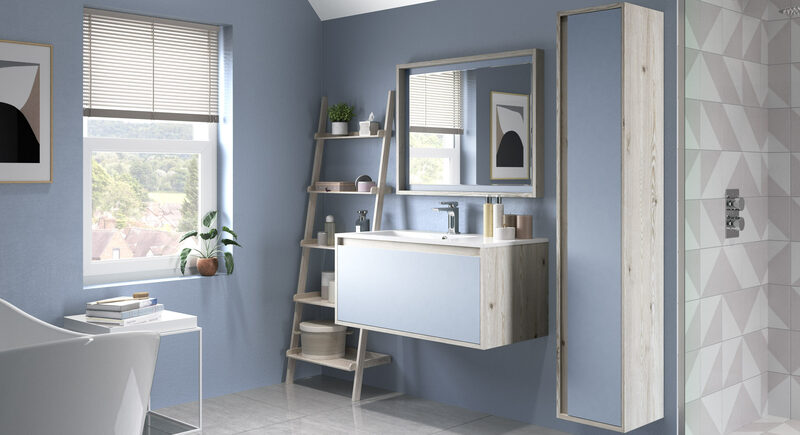 Senzo 1 drawer vanity unit 600mm with basin, Tall unit, 600mm mirror, Aquado basin mixer, Hoxton bath and Primo floor standing bath/shower mixer. 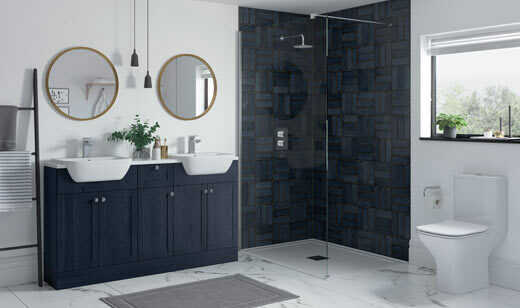 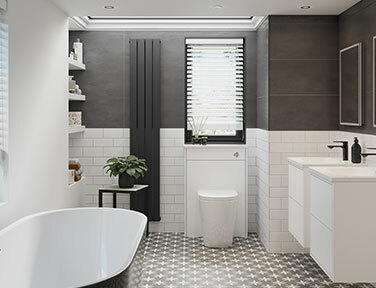 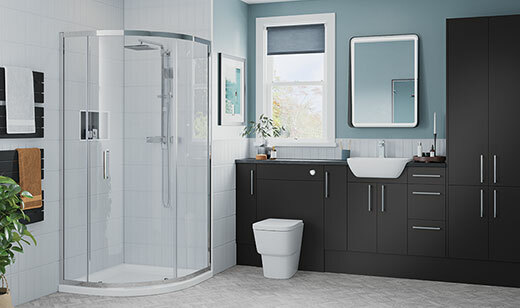 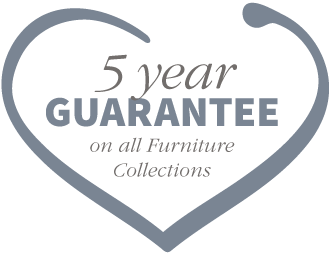 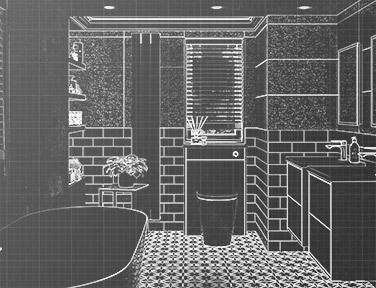 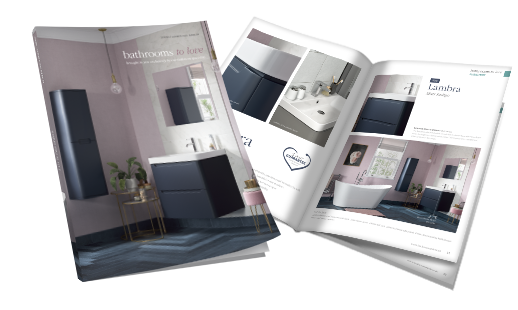 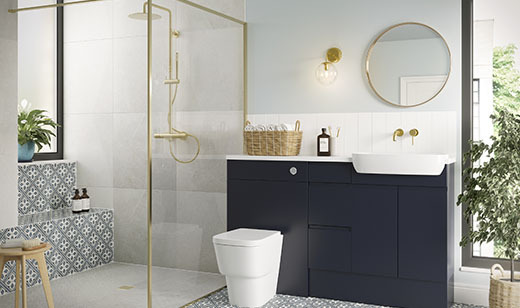 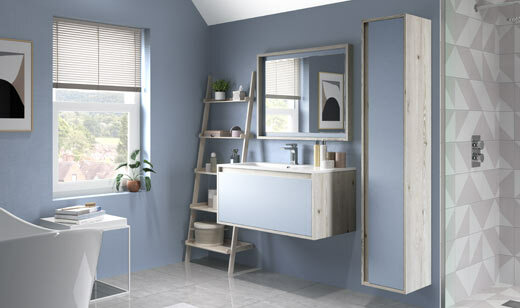 The Senzo range boasts stylish and fresh, luxury bathroom furniture that has been engineered to a high standard and designed to provide a clean, sophisticated feel. 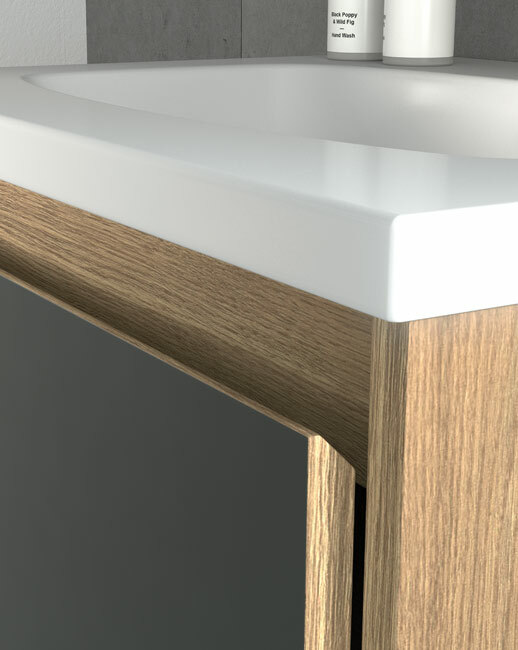 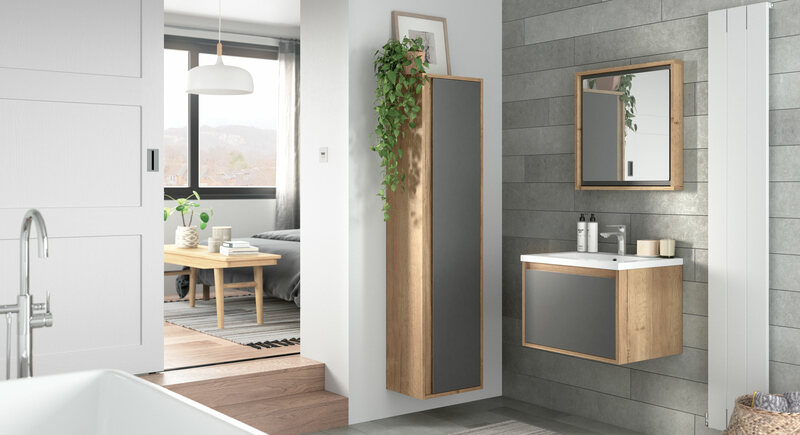 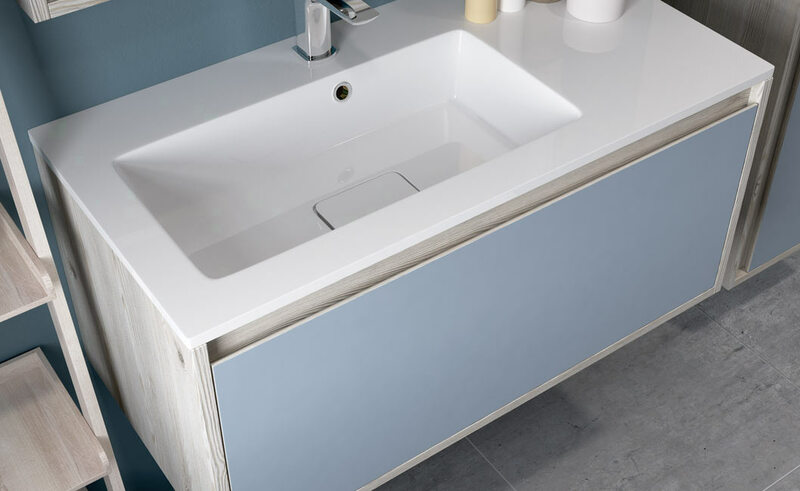 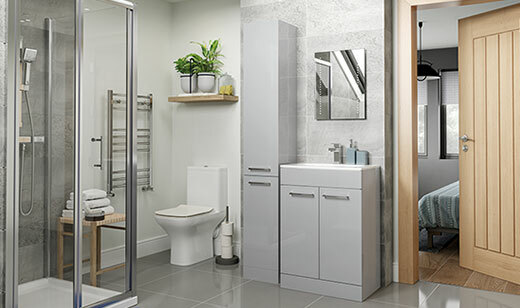 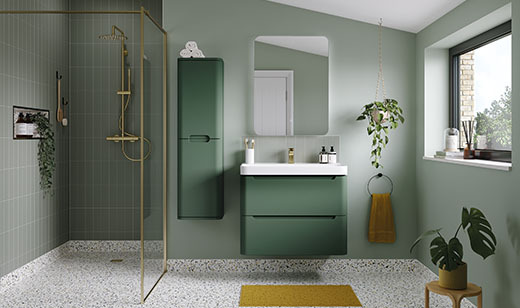 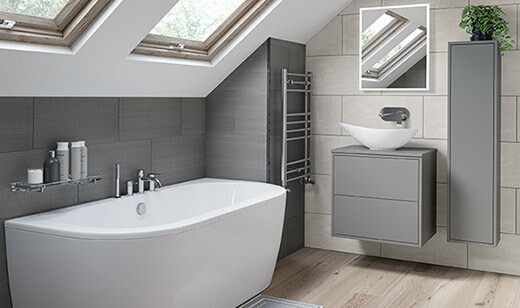 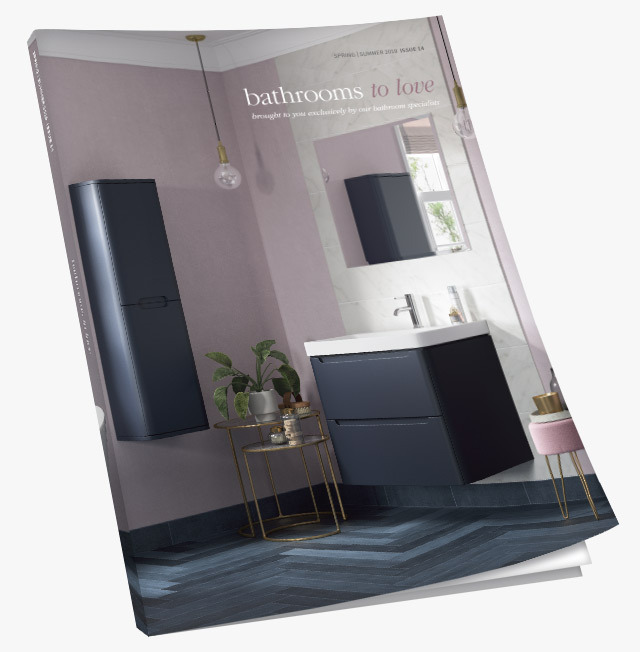 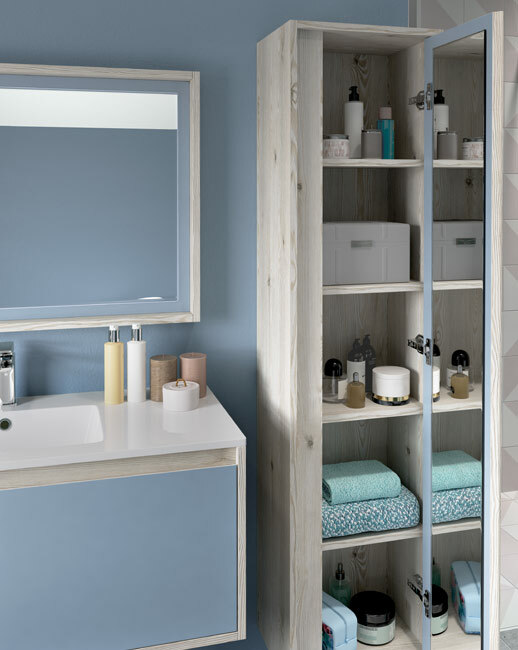 Senzo’s two-tone furniture in natural wood effect with on trend complementing colours offers chamfered edge door openings (above left) and vanity units that come complete with sit in basin (top).